The neck curve is the red-headed stepchild of spine care. 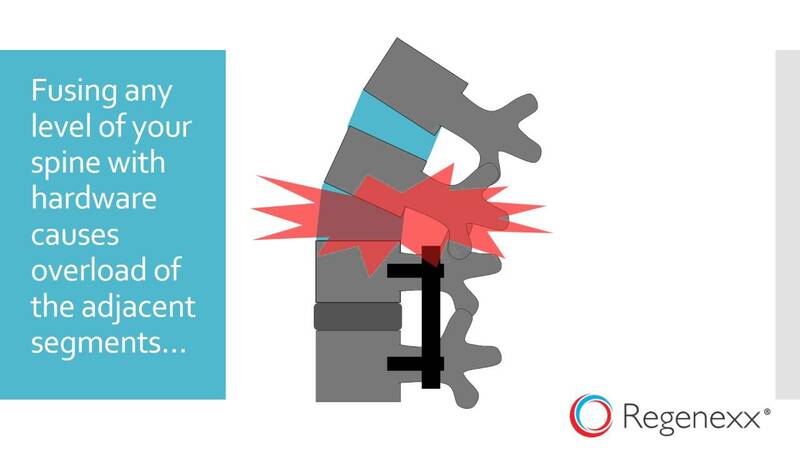 Thankfully, spine surgeons, after ignoring this issue for many years, are just starting to realize its importance. Regrettably, the surgeries they’re performing to fix the neck curve are for the most part unnecessary and causing more harm than good, but, heck, you can’t have everything. Let’s explore why fixing the neck curve is a big deal and what you can do short of surgery to help it. What Is the Neck Curve? The neck curve is also called the cervical lordosis. It’s a curve that distributes weight, about half to the joints in the back of the spine and half to the disc in the front of the spine. It also balances out the opposing curve in the upper back (kyphosis), which balances out the opposing curve in the low back (lordosis). What happens when you lose the normal neck curve? The head comes forward and it takes more energy to hold it up, and more of its weight gets forced on the discs, which can begin to fail over time. Research has shown this can lead to neck pain. As I’ve said, surgeons have often ignored the neck curve. Until recently, their devices to fuse together the spine were straight, even though the spine needed to be curved. More recently, newer spine-fusion devices have been curved, but we’ve seen plenty of those installed as if the surgeon didn’t know about the neck curve. What happens to these patients? Their head is forced forward, and the muscles that are supposed to hold up their bowling ball end up getting overloaded, causing pain and disability. The new study looked at surgery that was trying hard to fix the neck curve, which is a great goal. These were neck fusions, the goal of which is to keep certain spine segments from moving. Forgetting about the problems with neck fusions for a moment, the new research results suggested that fusing patients with a neck curve was better and that special tools could accomplish that goal. The authors also found that by fusing more levels, they could make it more likely that the whole neck still had a curve after the surgery. At first blush this all sounds pretty good, and for the few patients out of 100 in the U.S. who get a fusion surgery and actually need one, this might be a great approach. However, in our experience, the vast majority of patients who end up with these aggressive surgeries don’t need them and in fact develop complications far worse than the initial neck problem. Let me explain. What Are the Fleas That Come with Fusion? Adjacent segment disease (ASD, or where the levels above and below the fusion get worn out) is a real problem with fusion. In addition, the more segments you fuse the more common ASD will be, so the researcher’s conclusions that to improve the curve you need to fuse more segments is helpful in one respect (achieving a better neck curve) but harmful in another (increasing the forces on the adjacent segments). Why Are We Seeing a Renewed Interest in the Neck Curve by Surgeons? A recent high-level research study exposed another serious problem with fusion—that for most patients who receive the surgery, it’s more of a reimbursement enhancement tool for the surgeon than helpful for the patient. The study looked at patients with spinal stenosis (arthritis pressing on nerves) and found that adding a fusion to the operation to decompress the nerves didn’t add any improvement in outcome, but it did substantially increase complications. Why then has fusion become the most common spine surgery in many locales? Money. While a disc surgery might pay X dollars to the surgeon, adding a fusion with that same surgery often dramatically increases the reimbursement. Insurance companies got hip to this little two-step, so a few years back, they began forcing surgeons to document that there was deformity in the spine before they would approve payment for a fusion surgery. Given that loss of the normal neck curve qualifies under that new rubric, it’s not hard to see why surgeons have suddenly taken a keen interest in the neck curve, which they have ignored for years. Believe it or not, there have been nonsurgical ways to fix the neck curve for many years. One is a well-researched chiropractic technique called Chiropractic Biophysics. It basically uses specialized traction that pulls forward to improve the curve. If that doesn’t work because the neck ligaments have been injured, we showed many years ago that ligament injections reduced the amount of neck instability. In our experience, this same approach combined with a program to increase the curve can help these patients avoid surgery. The upshot? On the one hand, it’s great to see that surgeons have discovered religion when it comes to the neck curve. On the other, it’s disturbing that fusion is being recommended to fix it, as in our experience, the vast majority of patients who end up with a neck fusion never needed it in the first place. So do yourself a favor and get your neck curve fixed without buying all the fleas that come with fusion!